This fellow’s All-American. Wonder where he lives? Suppose you could come to this country and spend a day or two somewhere – one single place – that would fairly represent “Real America” a community that’s a microcosm of the whole, complex nation. Small towns certainly have a Real America feel. But is any one you come to typical of the nation any longer? This sent political pundits, opposition operatives, and tourism officials across the nation into in a dither. “Now listen here,” they grumbled, or found words to that effect. “Our little jewel of a community is Real America, too.” People took great umbrage at even an implied hint that just North Carolina, or just little towns, might have a monopoly on patriotism or Americanism, whatever that entails. Palin backtracked. “If that’s the way it came across,” she told CNN, “I apologize.” And that was that. Political spin doctors moved on to other subjects. But wait. If you remove the politics and emotionally charged words like “patriotism” from the equation, could there in fact be a place that’s an exemplar of the entire country? This conundrum applies to any country, of course. To experience the “Real France,” would you make a whirlwind trip to Paris? Or to a provincial center like Toulouse, away from the tourists? I wouldn’t mind searching for French authencity on the Riviera. 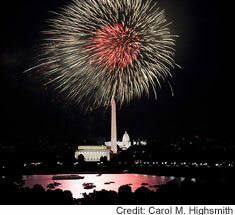 Hey, Washington’s just like any other place in America – once a year on the July Fourth Independence Day holiday. But I digress. Where might we find the embodiment of today’s America in one locale? I’d be happy to start with dinner at my house were we not such a far cry from Real America. I live (barely) inside the Capital Beltway, the 106-kilometer highway loop around Washington. If you’ve ever heard the expression “inside the Beltway,” you know that we who live and work here are far too obsessed with government and politics and power to be typical. Since we don’t epitomize much of anything, when our editors want to “take the pulse of the nation,” they send us as far outside the Beltway as possible. This is impressive America, crowded America, bustling America. But is it Real America? So you’ll have to take a rain check on dinner. And much as you might like to soak up the dynamism of a great metropolis, New York City or Los Angeles won’t do, either. They’re too gargantuan, too frenetic, too quirky. And, truthfully too rich to be representative. How commonplace could 370-meter-tall New York skyscrapers or 14-lane L.A. freeways be? And I can’t get you a fun trip to the Disney World theme park in Orlando, Florida, either. I can assure you that wherever Real America is, the people there don’t ride roller coasters and pose for pictures with stuffed mice all day long. Maybe you imagine Texas cowboys when you think of America. Come on, we’re talking typical, representative of the whole nation. There aren’t too many cowboys in Alabama or West Virginia. Texas is entrepreneurial, swashbuckling, cocky, but it’s also five or six different places all in one. There’s not much that’s typical about it. We can toss out places like New Orleans (too spicy) and Boston (too smart). And towns high in the Rocky Mountains (great views, too far away). Hawaii? Please. How typical could any place be where the locals wear flowered shirts and hang fresh orchids around their necks? This place has the requisite white picket fence. Is this Real America? I’d love to take you sponge-diving off Florida’s west coast (if I could swim), or saunter with you from coffee bar to coffee bar in rainy Seattle, or drink in antebellum history around Savannah’s moss-draped squares. I know that you’d love a hike up to America’s windiest mountaintop in flinty old New Hampshire, and have a blast chasing tornadoes in Kansas or Oklahoma. You’d adore ice fishing in Northern Michigan. OK, maybe not that. These are bracing activities all, and in fascinating places. But their locations are hardly typical. One of my colleagues insists that pinpointing Real America is a snap, no big deal at all. 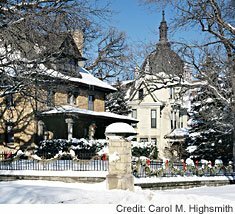 One need only toss a dart at a map of the Midwest – the “heartland” as we romanticize it – and then rush to the spot where it lands. We’d be sure to find tidy homes with the proverbial white picket fences, and fall leaves skittering past paperboys and girls on their bicycles. 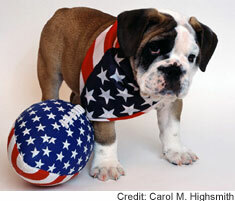 What could be more quintessentially American? 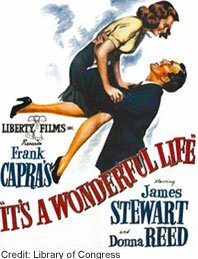 Maybe it was – 60 years ago – when we watched a shy, small-town “building and loan” manager, played by Jimmy Stewart, help his neighbors buy new tract homes in the beloved Christmas movie, “It’s a Wonderful Life.” But a whole lot of the idyllic towns like the movie’s Bedford Falls, if they existed at all, have frayed, lost industries, and seen their downtowns decay as shoppers migrated to the suburbs. 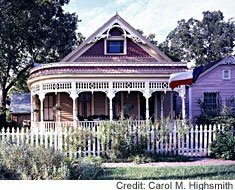 Many of the homes and picket fences aren’t so gleaming any more. Besides, many Bedford Fallses were so incredibly white, demographically, as to be odd in the America of today, just as predominantly black southern towns, or largely Hispanic communities within hailing distance of Mexico, don’t mirror the racial mélange that our immigrant nation has become. Onward, then, to . . . Nevada? Booming, but too empty and deserty, and too glitzy in the gambling enclaves. Arizona? Abnormally hot much of the year, abnormally irrigated, abnormally populated by retirees, and abnormally awash in salamanders. Utah? Changing, but still heavily influenced by a single religious sect, the Church of Jesus Christ of Latter-Day Saints. The wide-open Northern Plains? Any place where the lights of the next town are so distant that you can ponder the Milky Way can’t be typical. Besides, it gets so cold there, and in Wisconsin and much of Ohio and Indiana and Upstate New York and the like that millions of people have just up and left them for warmer climes. While there should be some hardships associated with Real America, it should probably also have a Sun Belt feel. Virginia? (too gentrified). Arkansas or the rural Deep South (too poor). Sarah Palin’s Alaska? (too rugged – and dark much of the year). Didn’t I say something about the Sun Belt? There are places with beaches (California, Delaware, New Jersey, the east and Gulf coasts of Florida), craggy hills (Kentucky and Tennessee and West Virginia), old mill towns and Early American attractions (Pennsylvania). But life, even in our miniature Real America, is not a beach, and a lot of the people who live in these places are older than average as well. Doesn’t Real America Have Bratwurst and Beer? Just a second, my dartboard buddy interjects again. Turn right around and head back to Middle America. 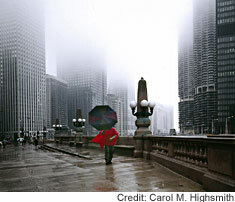 How about Chicago, the energetic “City of Big Shoulders,” as Real America? It’s hard-working. Its old ethnic neighborhoods have held together, and new ones that are home to Koreans and South Asians and others, are growing fast. That certainly mirrors what’s happening nationally. The north side of town is largely white and suburban in outlook, the south side mainly black and citified. Chicago, like the nation, is nuts about sports, and its legacy of civic corruption is not an atypical American tradition. So, we have found Real America!??? Nope. Chicago’s one of those teeming places, not ordinary at all. There’s not much solitude there, or connection any longer to the land that’s still a key node of the national character. Chicago’s ambitious architecture is dramatic but highly unusual. And the city is another of those frigid spots. Blizzards off Lake Michigan and Sun Belt don’t compute. At a vibrant but comfortable quarter of a million people, it is one leg of North Carolina’s Piedmont Triad (the other two are High Point and Winston-Salem) in a prosperous plateau between the state’s steamy lowlands and nippy Appalachian Mountains. 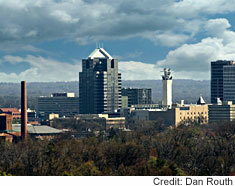 Greensboro is big enough, small enough, high and low enough, warm and cool enough, urban and suburban enough. And it well fits that American mosaic: white (53%), black (36%), Hispanic (6%). Four percent is even American Indian. Greensboro is football country, too. It’s home to basketball tournaments of national renown, and it’s loaded with top golf courses. How loaded? If I see one more pair of yellow slacks in town . . . . Still, when you combine “golf” and “warm” – rarely oppressively hot – you’ve got a magnet for corporations and well-heeled retirees. 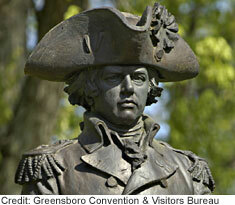 Greensboro is historic: a vital Revolutionary War battle was fought there; it became the North Carolina’s “Gate City” as a railroad hub; and now Interstate highways cross every which way through and past town. And the area has more colleges than you can shake a stick at, including one still run by Quakers, one of the interesting groups – German Moravians were another – that first settled the area. And although Greensboro made an unfortunate name for itself in the turbulent years of the civil-rights movement, it has owned up to its shameful, segregationist past. Some background: On February 1, 1960 in Greensboro, black students employed a civil-rights protest tactic called the “sit-in.” They sat in previously all-white seating areas of lunch counters in the Woolworth and Kress variety stores, were denied service, and were ordered to leave. When they quietly refused, police were called, and the students were arrested on charges of trespassing and creating a public disturbance. The sit-in was not a new form of protest, but the one in Greensboro inspired a wave of similar tactics throughout the South. College students and other civil-rights activists, black and white, crowded the jails of southern towns rather than pay fines for trespassing. In September 1961 alone, there were sit-ins in stores and restaurants in more than 120 cities throughout the South. Many restaurants were desegregated in the aftermath. 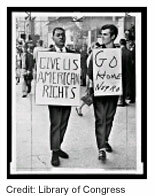 Ultimately, Congress passed the Civil Rights Act of 1964, which included a public accommodations section that barred racial discrimination by hotels and restaurants. 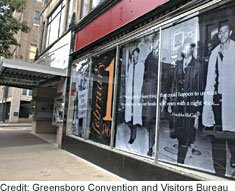 The Greensboro Woolworth’s store is now an international civil-rights museum; and the city’s mayor, police chief, and school superintendent are all African American. That is hardly typical, but Greensboro’s transition from ethnic intolerance to racial cooperation is an increasingly familiar American story. Whatever Gate Citians (I swear: that’s what they call each other; what did you expect? Greensburrowers?) don’t have right at hand is a hop, skip, and a jump away. They’re three hours from Atlantic Ocean beaches; two from beautiful mountains and ski runs and art colonies; four from Washington, D.C.; and five from Atlanta, Georgia, the bustling “capital” of the New South. 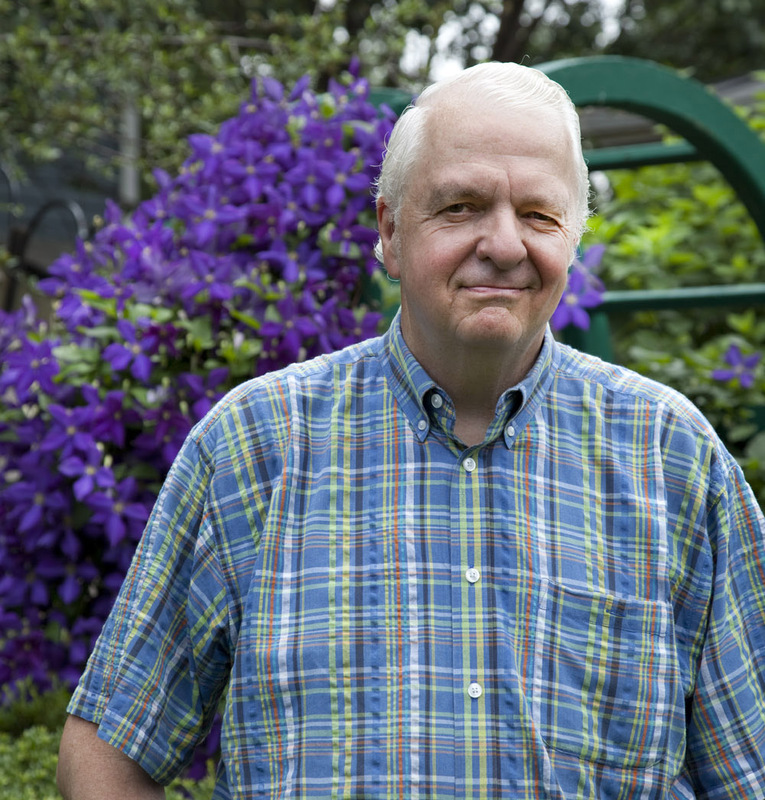 But what, in my mind, makes Greensboro a strong Real America nominee is its evolution through despairing economic times – something millions of Americans can relate to today. Greensboro once hummed with textile mills and furniture factories. It was such a swaggering tobacco center that 125,000 cigars – cigars, not cigarettes – were once rolled each week there. 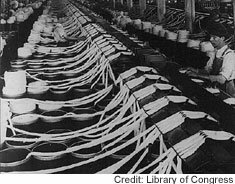 Then, late last century, most of those plants closed as their owners moved operations to Mexico or overseas. 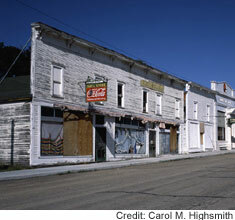 If you needed boarded-up windows and empty stores for a painting, Greensboro was your palette. But the city dug in and dug out. It sold companies and families and retirees on the area’s amenities and easygoing way of life. Now, Greensboro is a headquarters for Dell Computers among other high-tech companies; many of America’s gasoline-station pumps are made there; two enormous medical complexes serve the area; the Tri-Cities airport is nearing the end of a nine-year expansion to accommodate a mammoth new hub for the Fed-Ex shipping giant; and old factories and flour mills have been reborn as distinctive apartment and condominium residences. As Americans are doing and have forever done, Greensboro has re-invented itself. And there’s one last reason why I like Greensboro, though I didn’t know it until a few days ago! It’s the home of legendary broadcast journalist Edward R. Murrow, renowned for his dramatic coverage (“This . . . is London”) during the Germans’ aerial blitz of World War II. 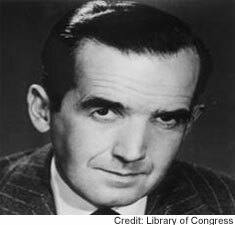 Murrow later directed the United States Information Agency of which the Voice of the America was then a part. Rain check. A sports term. When a baseball game, especially, must be halted and then postponed because of inclement weather, patrons are issued a “rain check” entitling them to free admission when the game is replayed. I may regretfully decline a social invitation but ask for a rain check – a chance to enjoy another such opportunity down the road. Swashbuckling. Pirates are swashbucklers, and others can swashbuckle, too, thanks to the evolution of the word. The “swash” comes from an old word for tapping one’s foot on the ground, as fencers (and sword-wielding pirates) do when they attack. The “buckle” doesn’t fit around one’s pants; a “buckler” was a small shield, worn (by right-handers) on their left arms for protection. Somehow, this got all smished into a word describing the flamboyantly daring.